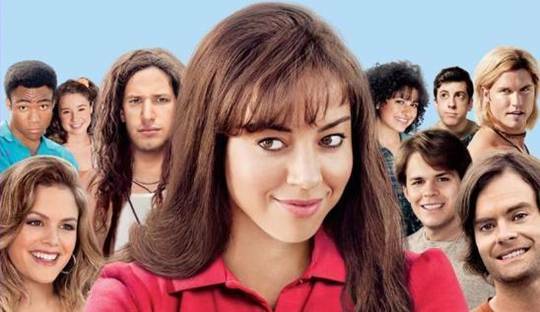 Aubrey Plaza is best known for her deadpan intern role of April Ludgate in NBC’s Parks and Rec. In The To Do List, she plays a recent high school graduate, Brandy Klark, eager to unlock her sexuality before entering college. As the title suggests, Brandy comes up with a checklist of acts that go from first base to home run with everything in between (and probably more). The good; The story is familiar. We’ve seen desperate teens frustrated about losing their virginity before. Aubrey Plaza’s character, Brandy, is the essentially Jim from American Pie. While some folks may not be able to relate to this adolescent scenario, we’re still treated to a great cast and cameo of folks that brings laughs to the table. The To Do List really speaks to a generation that was born in the 80’s that recalls being in high school in the 90’s. The soundtrack and wardrobe conjure up thoughts of what I was doing at that age (spoiler alert: I related most to Johnny Simmons’ character, Cameron). Unlike The Heat, The To Do List’s larger ensemble of comic actors keeps the laughs fresh and the movie never feels longer than it should be. At times, I was even hoping we’d get to see more of some characters (remember when DC Pierson was just on the screen but didn’t say anything?). It’s actually amazing how much comic talent is in this movie despite it’s relatively small budget, but what we’re seeing is actually just friends getting together to create something fun for all of us (Maggie Carey, Bill Hader’s wife, wrote and directed). The bad; There’s not much to really say here except don’t watch this movie if you are easily offended. Imagine Jim’s sock scene from American Pie redone and more lude multiple times throughout the movie. I’m not sure what an extended/uncut version would bring, but at times the theatrical cut does straddle the fence of funny and gratuitous humor. Also, if you can’t look past the fact that the age of many of the actors involved is far beyond the roles they are playing, you will really be distracted. At times I completely forgot that Brandy was on her way to college and just a 20-something trying to lose her virginity. Overall it’s easy to compare this movie to the likes of American Pie and Superbad but it actually stands on its own because we’re seeing the story from an often underappreciated and overlooked female’s perspective. This entry was posted in Movies/TV and tagged aubrey plaza, bill hader, maggie carrey, rachel bilson, review on August 8, 2013 by Mark Azali. The buddy cop comedy genre has been around forever and comes back in different forms. The Heat takes a shot in this genre of marrying the serious career of crime fighting with two upholders of the law that find little to agree upon. Let’s state the obvious: Melissa McCarthy steals the show. To her credit, if you loved Sandra Bullock as Lenina Huxley in Demolition Man, you’ll find her awkward-yet-capable character in The Heat also charming, but it’s McCarthy who portrays Boston local cop, Shannon Mullins, that gets credit for the many of laughs that ensue. The good; you do know that this movie is more about comedy than drama, right? Good! Sandra Bullock and Melissa McCarthy really work together. You get the feeling they became friends working together if they weren’t already and I can’t help but wonder why the makers didn’t give us a gag reel during the credits as icing on the cake. Watching Bullock in this movie just makes you want to hug her, especially if you know someone just like her and chances are you do. Bonus: You’ll appreciate some of the cameos even more if you’ve watched Bridesmaids. The bad; The film runs 117 minutes but unfortunately some of the jokes don’t work. A bit editing could have kept this comedy leaner and more potent. Overall, if you’re craving comedy and looking for a reason to cool off in theaters check out The Heat. One question remains, would a third Paul Feig + Melissa McCarthy movie be a charm? This entry was posted in Movies/TV, Reviews and tagged comedy, melissa mccarthy, paul feig, review, sandra bullock, the heat on July 8, 2013 by Mark Azali. 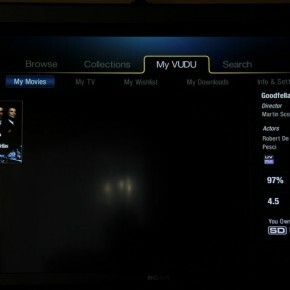 I decided to try out the Walmart/VUDU Disc-to-Digital service. The experience turned out to not only be a first-time for me, but everyone involved. 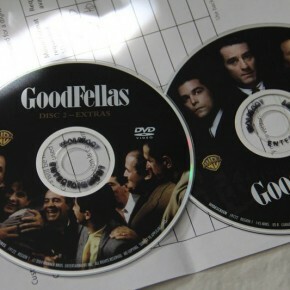 I went to my local Walmart (Porter Ranch, CA) and brought 2 DVD’s: Goodfellas and Pulp Fiction. I knew Pulp Fiction was not a valid title but decided to bring it anyway just to see how well the folks at Walmart handled curve balls. I went to the photo center and asked about the service. The associate confessed this was the first time he had been asked about the service and brought out a manual with steps to assist me. I was then given a form and after closely inspecting the instructions, I realized the form was supposed to be used by Walmart associates, not the customer. 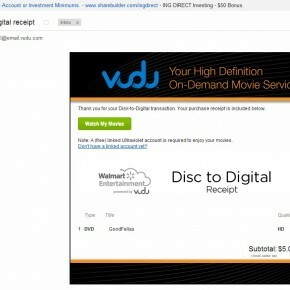 After completing the form, I handed the associates (a team of two now) my DVD’s and they used a computer to validate my information (email/phone number). 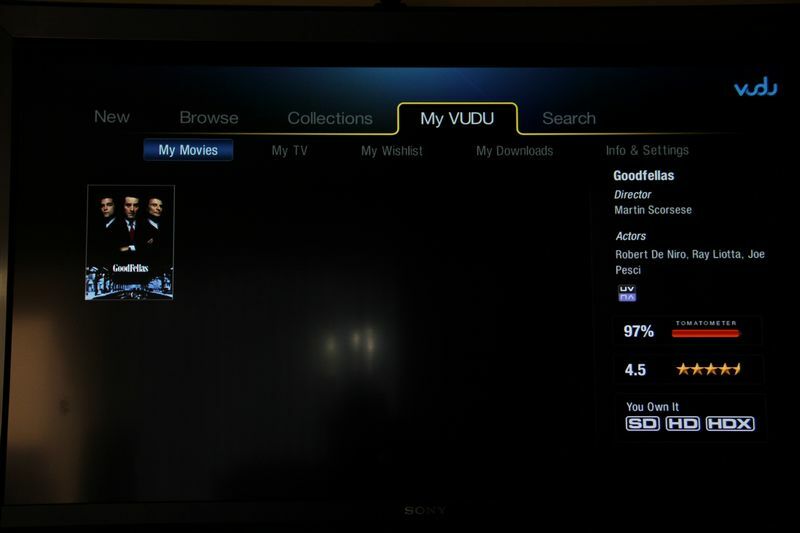 The associate noticed Goodfellas was already in a work queue (probably from my conversion movie list I setup on VUDU.com). Once confirming Pulp Fiction was not available and quoting me $5 for Goodfellas, the process took a few clicks and the associate rang me up. 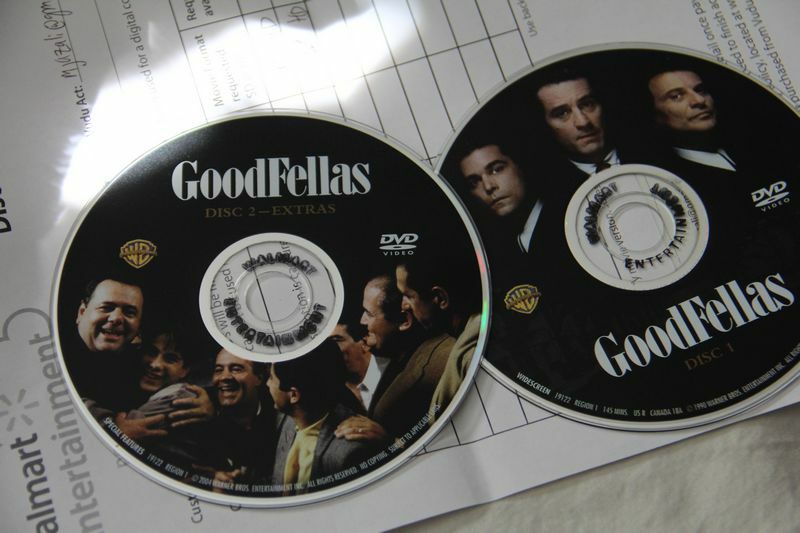 Before I could escape, the associate said he needed my Goodfellas DVD and went back without notifying me why. 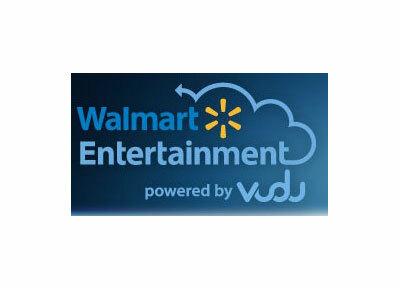 When he returned, I opened up the DVD case to see he had stamped the discs (reads “WALMART ENTERTAINMENT”). He even stamped disc 2 although that was just extras. He noted the step was necessary because of licensing. Luckily the marking can easily be removed with a little rubbing alcohol (I’m guessing your mileage may vary depending on the image print type on your disc). I came home and the title was added to my collection as expected. An overall easy process that will surely be quicker once the folks behind the counter get some experience. 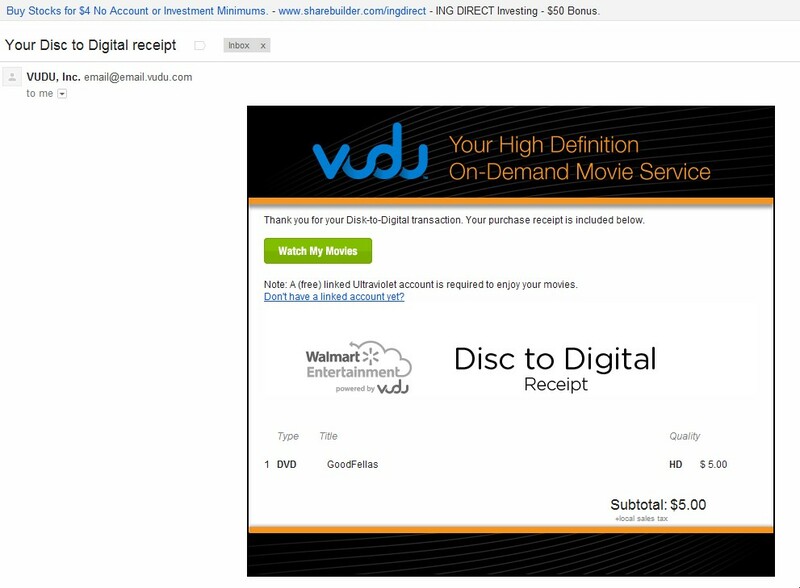 This entry was posted in Movies/TV and tagged disc to digital, dvd, hands-on, review, streaming, vudu, walmart on April 17, 2012 by Mark Azali. I just finished reading the trade paper backs of the Superman Grounded story line. It follows the New Krypton story arc, written by J. Michael Straczynski and then finished off by Chris Roberson, with art from Eddy Barrows. 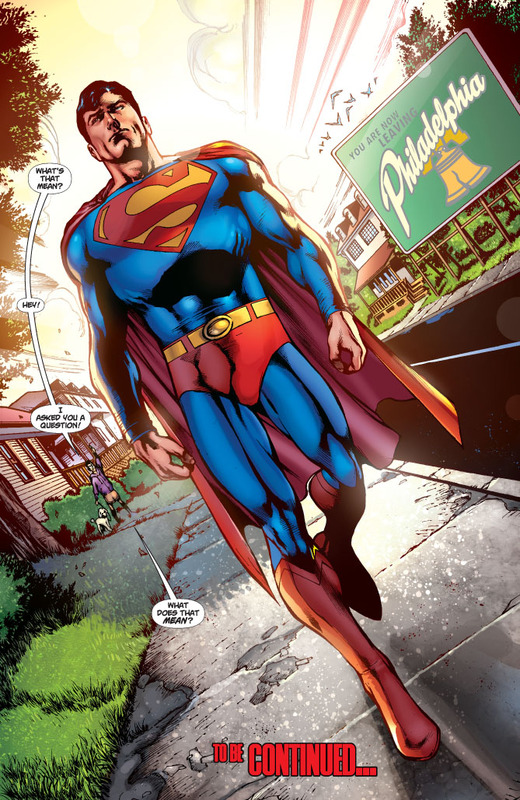 After being on New Krypton for so long (a year or so) Superman returns to Earth, he feels he’s lost touch with his adoptive planet, so in order to reconnect he literally walks across America. He goes to; Philadelphia, Detroit, Ohio, Indiana, Chicago, Des Moines, Nebraska, Colorado, Utah, Las Vegas, Oregon, Seattle. Along the way he meets the ordinary/everyday man on his journey he destroys a drug house, helps reinvigorate a town rundown by the closure of a factory, and finds a place in society for a stranded alien race. Superman also does feats that are more personal; he puts a stop to domestic violence, instills confidence to an inner city child, and rescues people from natural disasters. In the end his self doubt is dispelled and he inspires people to do good. I get the idea behind this more “down to Earth” story, after spending most of the previous year on the planet of New Krypton it’s as if Superman has abandoned his adoptive home, Earth. But to carry this story for twelve issues? The point of the story is realized after the first two issues, the following issues felt like they were beating a dead horse. Another problem with this story arc is the premise – Superman wants to connect with the common man – isn’t that what Clark Kent is for?? Think about it, Superman has the powers and flies above humans, Clark Kent has a day job, an apartment, and wife… Clark Kent “grounds” Superman. Clark Kent has been absent from the Superman titles for way too long, it’s been more than a year. After New Krypton Superman wants to reconnet with the people of Earth… so go back to your day job as Clark Kent, reporter for the Daily Planet. This sentiment is echoed by the podcasters on From Crisis to Crisis: A Superman Podcast. Grounded feels like Superman’s attempt at the Green Lantern/Green Arrow: Hard Traveling Heroes run with Denny O’Neil and Neal Adams in the 70s. But Green Lantern and Green Arrow aren’t Superman, they rode around in a pick up truck, while Superman walks the Earth, like Caine from Kung-Fu, but seems more like Forrest Gump, Superman can fly… it’s one of his main appeals, let him fly, Clark Kent is the one that should be connecting to the common man. For the Grounded story arc’s purposes people should look to back issues like Superman 59, or anything pre-Death in 1991 (as much as people shun the 90s in comics). But don’t get me wrong, there are nuggets of good things in Grounded. One of them are the references that they make to the now old continuity, Under A Yellow Sun for instance, they flat out refer to the novel that Clark Kent wrote, that’s awesome. The John Byrne mini-series, The Man of Steel, gets a nod too, they mention Magpie, something all the way from 1987. I love when comics do that, but sadly this era is gone and we are starting anew. The small moments are what I really remember. Bringing Superman back to his roots, fighting for the underdog, is a great idea. Meeting the average joe on the streets or at their home, the subplot with domestic violence is great, Eddy Barrows draws a very angry Superman. Looking back, I didn’t care for the Superman Squad issue, we get it that Superman inspires others. I’m a fan of Stracyznski so I really wanted to like this, I may have set my standards too high, I got to talk to him about Superman: Earth One, which is the reason he left Grounded – to concentrate on Earth One, and he said the second volume of Earth One was a lot of fun to write. I sure hope so, cause to combine two things I like sounds like a good idea, but Grounded doesn’t do it for me. This entry was posted in Comics and tagged comic review, comics, j. michael stracsynski, review, Superman, Superman Comics, Superman Grounded on December 14, 2011 by Eugene.